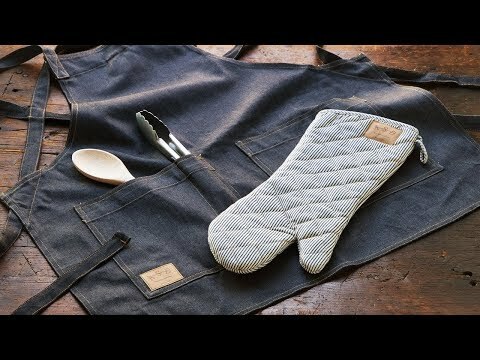 This denim oven mitt is equally sharp-looking and functional because it’s crafted from durable, pure cotton denim. 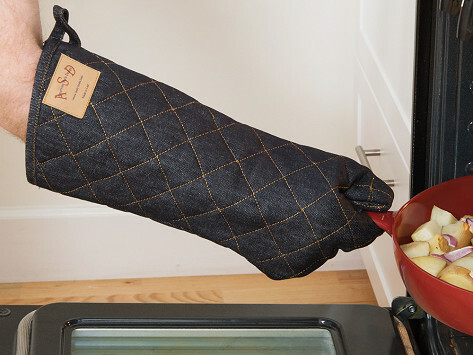 From grill duty to baking sessions, the extra-long design protects your hands from heat. Dimensions: 16" x 7" x 0.5"
Love this mitt... keeps my hand and arm away from heat. Works perfectly!